Life is a Balancing Act… a fun book! A beautifully illustrated gift book with 66 versatile ideas for the balancing act of life! Life is a Balancing Act Workshop! A dynamic presetation of a timely topic filled with knowledge, personal experience, humor and passion! Welcome to lifeisabalancingact.com, the website brought to you by Debbie Lessin and Balancing Act Productions, Inc.
Life really is a balancing act! Our endless to-do lists have each of us juggling work and play, friends and family, heart and soul and mind and body in continuous always changing cycles. Finding balance is a journey, a journey on a road without a map. Debbie readily admits that her fascination with balance was discovered by taking that journey and exploring the mystery and magic of all that life has to offer. Debbie has created an inter-active workshop on life balance issues. Life is a Balancing Act – the live act provides practical advice on how to make balance a regular part of your day-to-day life. The presentation examines life priorities and provides an action plan for goal implementation. 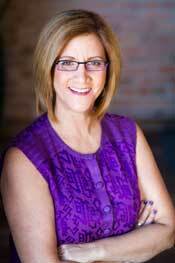 Debbie is a dynamic speaker with an endless supply of energy and passion. Life is a Balancing Act is fun and inspirational!